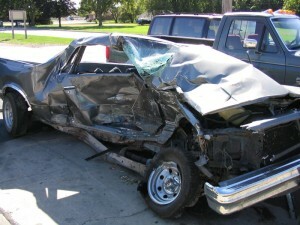 Suppose you are injured in an automobile collision caused by a negligent driver. You then go to a duly-licensed physician for medical care. You certainly trust your physician and her dedication to the well-being of her patients. Ultimately, your physician provides treatment and even surgery. Down the road of litigation, the negligent driver’s attorney claims that the surgery you underwent was medically unnecessary or unreasonable. Assuming this treatment was “unreasonable,” should you be on the hook to pay for it? Is it your fault if your physician provided unnecessary treatment by mistake or for financial gain? Of course not! The Florida Supreme Court (Stuart v. Hertz Corporation) established long ago that a negligent party who injures another is liable not only for the resulting injuries, but is also liable for any medical negligence stemming from services of a competent physician. This principle has been reaffirmed many times and even extended by Florida Courts to hold negligent parties liable for improper and unnecessary medical treatment performed by an allegedly unscrupulous physician. In Nason v. Shafranski, the plaintiff sustained serious back injuries from an automobile collision and ended up having surgeries at multiple levels of his spine. The defendant’s medical expert argued that the plaintiff’s spinal surgeries were unnecessary. The parties then disagreed over whether the defendant should be held liable for any unnecessary treatment. The Fourth District Court of Appeals concluded that the plaintiff must be compensated for the unnecessary treatment because it was incurred through no fault of the plaintiff and as a result of the defendant’s negligence. The Court further noted that the defense expert’s testimony regarding “unnecessary” medical treatment, in the absence of a jury instruction addressing the issue, served only to confuse the jury and required a new trial. When a person has suffered injuries by reason of the negligence of another, and exercising reasonable care in securing the services of a competent physician, and in following his advice and instructions, he submits to unnecessary and/or inappropriate medical treatment, the law regards the original wrongdoer liable for the expenses and consequences of the unnecessary and/or inappropriate medical treatment resulting from the services of the physician. This jury instruction completely eliminates the frivolous defense, avoids juror confusion, and allows trial lawyers to focus on the substance of their case. This is just one of countless crucial aspects of litigation and why injured innocent victims must be careful when hiring a personal injury attorney. If you are an injured party with a potential injury claim against a third-party, always look to the trial experience of the firm and the attorney you are seeking to retain.